Spotlight on your Sales Success is a book for the Sales Professional that wants to learn the Selling Secrets the top Sales Professionals use to stay on track and Make More Sales. 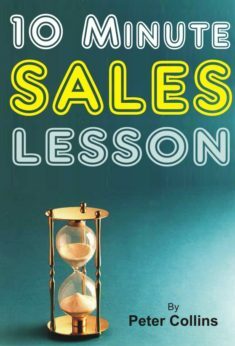 The eleven chapters are cram-packed with Many Sales Secrets that the majority of today’s salespeople have never encountered or many reminders for the Seasoned Sales Professional to help get them back on track. 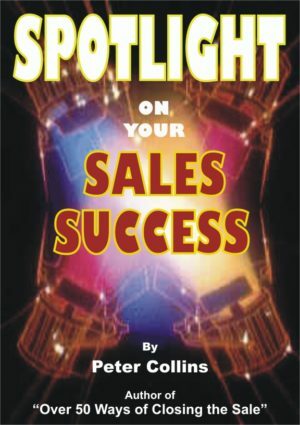 Spotlight on your Sales Success is a book for the Sales Professional that wants to learn the Selling Secrets the top Sales Professionals use to stay on track and Make More Sales. 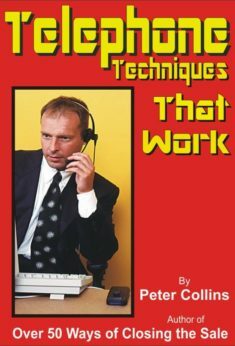 The eleven chapters are cram-packed with Many Sales Secrets that the majority of today’s salespeople have never encountered or many reminders for the Seasoned Sales Professional to help get them back on track. Just check out the index immediately below. Throughout the world today, the concept of selling is changing rapidly – and it is fair to say, far more rapidly than any salesperson would honestly like. Now, that is not to say that the selling styles have changed beyond recognition, but simply that what the consumer is prepared to accept as today’s norm has been moved (or perhaps, elevated) to a new and far more astute level. In fact, every salesperson in this modern era now senses that customers are both behaving and responding differently. Some sense that the consumer may be considered less friendly, whereas others expect more from the seller than ever before. Here’s what we are really facing today. 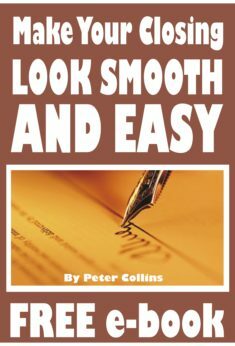 Most older salespeople will suggest that when they get in front of a prospect, they are able to function well and work at their craft with a high level of ability, competence and professionalism. But what happens if they can no longer get face-to-face with the prospect? Or what if the prospects door doesn’t open the way it used to and the seller is no longer able to present personalized facts and solutions? And what will be the modern sellers strategy if the prospect refuses to engage in the most basic of discussions, give the seller the time of day, or worse still, declines to provide time for a meeting? What happened so often in the past is that so many sellers simply pushed the delete button and then moved on to the next customer. 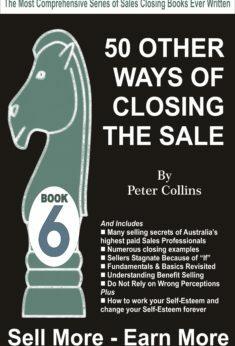 But the problem with this “old fashioned” strategy is that there will always be a limit to how many prospects are willing to do it the seller’s way, rather than the seller accepting that the buyer is ‘king’ and should be afforded the courtesy of doing things his/her way. In fact, the buyers who are prepared to bow to the seller’s way of doing business are becoming fewer by the day. The reality of the current day is that the selling environment has changed, and what’s more, has changed permanently. Today’s savvy seller needs to rise above the crowd of slow, old fashioned or even hard to change tactics and marketing processes and see these newly changing acceptances as cold, had and unbending facts. New ways have to be developed to attract the type of buyer the seller wants. They need to ascertain that what it takes to be successful in sales is demanding but not particularly nor necessarily complicated. So how does a Sales Slump Start? But ensure you are in the Right Mind Frame as much as you are in a Selling Focus! So Let’s Get Real – Are You Really in Sales, or Just Drawing a Wage?